We will get you on the road again, safely! 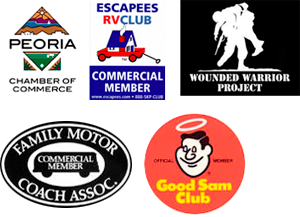 Our top goal is to ensure that you recreational vehicle is safe, and that the repairs that you needed to have completed, are completed in a thorough and timely fashion. Owner, Jeff Averyt is a graduate of the prestigious RV training center in Clearwater, Florida – the only RV technician school in the United States. As a Certified Master RV Technician, Jeff received hands on training on how to best repair RV electrical repairs. The electrical system of your recreation vehicle is one of the most important systems that it includes. Without electricity you will not have access to power, and the comforts of hot water, cooking appliances, cell phone charging, lighting and sound. 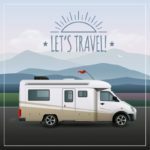 We can give you proper advice on RV electrical systems and answer the questions you might have about proper power outlets, inverters, converters, and autoformers. If you are wondering if you should use an extension cord, RV surge protectors or have questions related to adapters, switches, testers and perhaps even solar RV electrical supplies, we are your go-to. If your RV currently has some electrical issues, don’t wait to get those RV electrical repair problems looked at. We’d love to help you. Give us a call.